It’s Almost Ghost Walk Time!!! Many of you have been asking when we will host the next Ghost Walk. Well…… here you go. 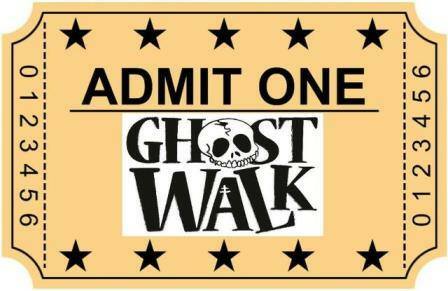 Ticket go on sale September 2nd for the September 26th Ghost Walk. Tickets go on sale October 1st for the October 24th Ghost Walk. Available tours are: 8pm, 9:30pm, 11pm and 12:30 am. All tickets are $10 each and are non-refundable. Must be 15 or older to attend. We now have the ability to accept credit and debit cards when purchasing tickets. Be sure to have all the necessary information ready if doing so. Just want is a ghost walk? The Sweetwater County Library is basically a haunted library. The current library was built on the property where the old city cemetery once resided. It is suspected that this and the fact that several graves were missed when the original cemetery was moved, is cause for the paranormal activity. In 2006, Ellie Davis held the first informal ghost walk for a group of students attending one of her programs. Because it was such a huge hit, adults soon wanted in on the action. A couple years later, the official Ghost Walks were created. Now several times a year these special paranormal investigations take place. Our team uses ghost hunting gadgets that you may have seen on many of the ghost hunting shows on television. Some of them are KII meters, EMF detectors, laser grid pens, digital thermometers, video camera, and digital cameras. Anyone attending is welcome to bring their own devices. We only ask that you be considerate of the other attendees when using them. It may seem strange, but when using a camera or device that gives off light or laser, always be mindful of reflective surface. You can actually cause damage to the eyes. For more information, call the Sweetwater County Library at 307-875-3615. Things are feeling a little odd around here and I realized it was Friday the 13th not long ago. People have been a little “off” and the energy just seems different. Something is spurring the energy to change. Many people have commented on the reasons. It could be a very interesting year. 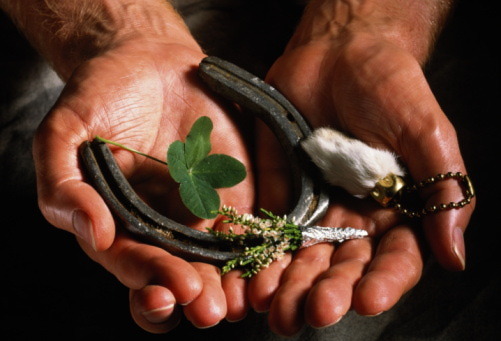 Records of the superstition are rarely found before the 20th century, when it became extremely common. The connection between the Friday the 13th superstition and the Knights Templar was popularized in Dan Brown’s 2003 novel The Da Vinci Code and in John J. Robinson’s 1989 work Born in Blood: The Lost Secrets of Freemasonry. On Friday, 13 October 1307, hundreds of the Knights Templar were arrested in France, an action apparently motivated financially and undertaken by the efficient royal bureaucracy to increase the prestige of the crown. Philip IV was the force behind this ruthless move, but it has also tarnished the historical reputation of Clement V. From the very day of Clement V’s coronation, the king falsely charged the Templars with heresy, immorality and abuses, and the scruples of the Pope were compromised by a growing sense that the burgeoning French State might not wait for the Church, but would proceed independently. However, experts agree that this is a relatively recent correlation, and most likely a modern-day invention. Along with Friday the 13th this year we experienced a full moon on the same day. What will this bring? Suspicion and superstition run rampant. I have been hearing all kinds of comments. It’s a rare confluence of calendar and that has not been seen in 14 years and it will not be seen again until 2049. The last time the moon was full on a Friday the 13th was Oct. 13, 2000. Also to add to the mix, it was reported on the news that two, yes two, solar flares were spotted on the sun. It is a well-known fact in Emergency Room’s and many public locations, that during a full moon, the so called “crazies” seem to come out. Add Friday the 13th and all bets are off. Do not walk under a ladder or let a black cat cross your path. I am not sure I buy into all this, but we don’t want to add to the list of luck breakers. Unless you are a member of the Knights Templar, Friday the 13th should just be another day. Full Moons do of course affect nature in many ways. Solar flares are thought to effect nature as well. Do we make our own luck or are you stuck with wherever comes our way? Do you believe in the superstitions or is it all just happenstance? I did have a sighting of a “person” walking along the back of the library on Friday the 13th. I knew there were only a few of the staff in at that time and we had not opened yet. I went to look to see if someone had somehow gotten in before opening and it is no surprise, no one was there. It seems the “person” might just be one of our friends. I could not tell you if it were man or woman exactly, but they were about 5 and a half feet tall and average build. It was a very quick sighting down the second isle from the left towards the very back wall. No one else saw this. Interesting to say the least. We have had a spike in activity of late. I am beginning to wonder, is it the building settling again or something else or both?